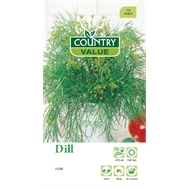 Country Value seeds make it easy to grow dill. 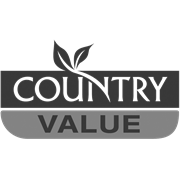 Its delicate flavour is particularly suited to seafood dishes. 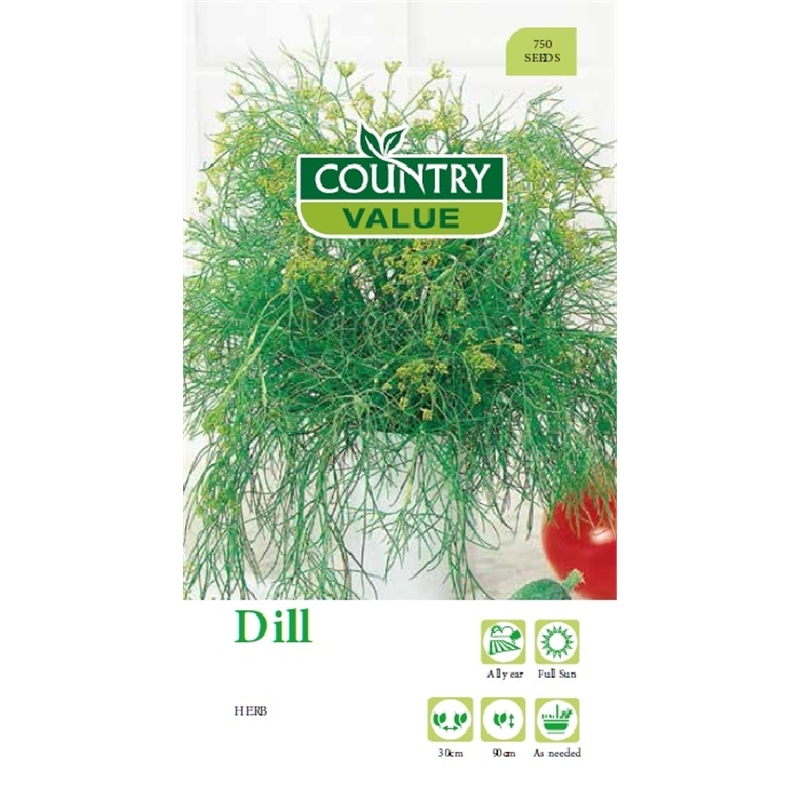 It grows quickly and easily in the garden or in pots. Its leaves and seeds can be dried or frozen but are best when freshly picked.